John McAfee thinks the world could use one more messaging app. 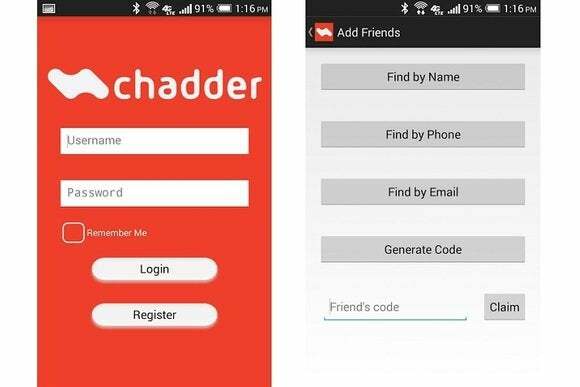 The former anti-virus software creator and international fugitive is promoting a new app called Chadder, which claims to keep messages secure through key server encryption. The app is available now for Android and Windows Phone, and an iOS version is coming soon. However, the app appears to be in extremely rough shape, not even deserving the “beta” tag that the developers use in their description. Theoretically, you should be able to look up the intended message recipient by name, phone or e-mail, and then exchange a four-digit code that acts as the encryption key. The key remains invisible to Chadder, ensuring that only the recipient can see the messages. In our testing, I wasn't able to find my fellow app tester by name, even when he had set his profile information to “public.” Entering a code in the “claim code” field simply caused that code to disappear. Even if there's some crucial step we've missed, the app is far from being user-friendly. And once you've created an account, the app doesn't give you any way to delete it. Aside from lending some notoriety, the extent of McAfee's involvement with Chadder isn't clear. A press release says that McAfee's company, Future Tense Secure Systems, released the app “in partnership with” Etransfr, and also says that a team of developers at Rochester Institute of Technology helped build the app. In the Google Play Store, Etransfr is listed as the sole developer and appears to be responsible for gathering feedback and answering user reviews. In response to one review, Etransfer said that it has been developing Chadder for only one month. The only other available product from Future Tense Secure Systems (which also goes by the name Future Tense Central) is a privacy control app called DCentral1. McAfee had previously announced a hardware product with a similar name, which supposedly would have allowed for local, secure communications, but this product has not materialized. Clearly, McAfee enjoys bashing the company that still bears his name. But without a little quality control, his new venture isn't going to fare any better.